It doesn’t matter how old you are or if you have attended a prestigious college, an excellent memory is attainable by anyone. If you think you have a bad memory, then I want to ask a favor. All I ask is your time and your promise to attempt the exercises on this page. I know you will be impressed with what your brain will accomplish in the next few minutes and these could be the first steps for you to get a powerful memory and confidence in being able to memorize anything that you want. This is a big claim, but you have nothing to lose by trying. I’ve taught many people these easy to use memory techniques, and every single person makes drastic improvements within an hour of learning these methods. My goal is to change the way you think about your memory by the end of this article. I’ll show you where to continue with your memory training toward the end of this page in case you want to learn more. Why Should You Care About Your Memory Anyway? Having a reliable memory can make things easier in all areas of your life. It is an incredible feeling knowing that you have the capability to memorize names, lists, phone numbers and anything else that you want to remember within seconds. No more scrambling for a pen and paper to jot down information. You can have the skills and confidence to trust in your brain. A trained memory will help in business and in your social life. Remembering the names of people you have just met is simple when you have the proper techniques. Remembering lists and numbers are also simple once you have a system in place. I am surprised at how many people say that they have a bad memory. I am even more surprised by how they seem to be okay with it. These people don’t really have bad memories. Their minds are just untrained and not being used to their full potential. Our schools don’t teach us how to improve memory and recall. If you were lucky, then you may have played some memory games as a child, but you probably weren’t shown how to get better at it. The good thing is that it is easy to train your mind to remember anything and once you know how to apply these techniques, it will just take a few seconds to implement whenever you need to remember something. Once you have a system for quickly remembering things, you will have the power and confidence to use that power whenever needed. I know this sounds impossible, but it is very true. It doesn’t even take long to become familiar with the system, and it becomes a part of you before you know it. To develop a powerful, reliable memory does take some time. You can learn the basics quickly, and you will see how effective your brain can be after an hour. yourself to learning the methods. However, there are some things that you can do that will quickly boost your memory power while you are working on longer-term memory mastery. Of course you probably already know that eating healthy and getting exercise will make your mind work better. 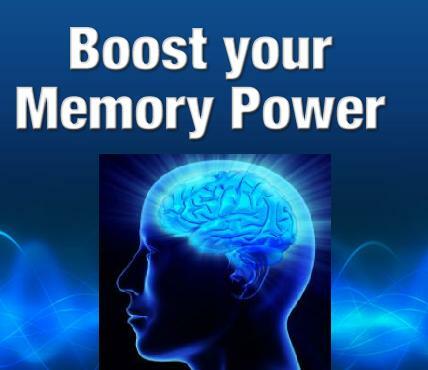 There are also memory supplements that you can take that will enhance the function of your brain as a whole. These are optional for a longer term plan but if you want fast results then follow these tips to get immediate results. 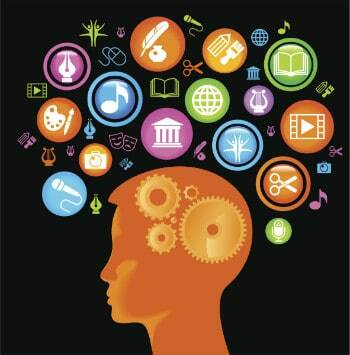 Our memory works by associating new material with what we already know. Say that you already know how to play chess and have an understanding of the strategies and tactics involved. You will be able to learn another strategic game such as checkers faster than someone who has never played chess. This is because you have something to associate the checker strategies so that you are already familiar with. If you want to remember something new and already have knowledge of something similar then you can use association to help make the learning faster. The best associations are ones that are extravagant or silly. By making an absurd mental image of something you know and something that you want to remember, you can instantaneously have a reference point to recall the new information until it becomes permanently embedded in your long-term memory. Don’t worry if this isn’t completely clear right now. We will do an exercise in a bit and I will walk you through it step-by-step so that this method will become clearer. A mnemonic device is a little memory trick that gives you a reference point to remember something new. Number of Days in each Month — Yes, that image to the right is supposed to be ‘knuckles…I could never remember the rhyme. Instead, I learned the knuckles method. Each knuckle (high point) represents 31 days. Each valley (low point) represents 30 days. The only exception is February which is either 28 or 29 days. Roy G. Biv – The colors of the rainbow. Each letter in the name Roy G. Biv is the first letter of the colors in a rainbow. Red, orange, yellow, green, blue, indigo, and violet. By remembering the name Roy G. Biv, you can recall the colors and sequence of the colors in a rainbow. Stalactites and Stalagmites – These are the rocky spikes that are found in caves. A stalaCtite hangs down from the Ceiling. A stalaGmite comes up from the Ground. In this example, we use the letters in each word to remember the difference in similar words. Coral snakes and kingsnakes – Red on yellow, kill a fellow. Red on black, venom lack. This rhyme is referring to the colored rings on a snake’s back in order to tell if it is a venomous coral snake or a non-venomous corn snake. So you see there are mnemonics for remembering many different things. Feel free to create your own, and they will help you remember many things. Use them in class for storing complicated concepts in your brain. There are countless mnemonics already created in every school subjects but if there isn’t one for something you want to learn then come up with your own. This memory tip alone can cut your study time down massively. That wraps up the primer on using associations and mnemonics to help your memory. You can implement these right now without practice. Next, we are going to cover the link method. This is the part of the article where you get to play along. This exercise will have you memorize a grocery list of eight items. I’m going to explain the linking method and all you have to do is follow the instructions. Once you master this memory technique you can apply it in your life and have perfect recall of any lists that you want to remember. What we are going to do is form a mental link between the first item and the second one. Then we form a link between the second and third, and so on until we reach the end. The key is that we actually picture each link in our mind for a brief moment. The image that we come up with should be either silly, exaggerated, or otherwise ridiculous. This is extremely important for this technique to work. Let’s start at the beginning of the list. The first item is milk and we are linking it to bananas. You could picture opening a jug of milk and bananas flying out from the jug. Or you could picture dunking a banana in milk like a cookie as you are eating the banana. Anything silly that includes both items will work. If some other image pops into your head besides these possible ones, use that one. Make sure that you see the image in your mind before we move on to the next step. Next, we are linking bananas to eggs. You could picture an egg hatching and instead of a chick inside, it is a bunch of tiny bananas that come out. Picture this or picture any ridiculous image that you can come up with. I want to reiterate, it is important that you see this image in your mind for a split-second. Once you have seen it in your mind then forget about it and move on to the next link. Now we are connecting eggs to bread. One idea is to picture making a sandwich with just eggs between two slices of bread. Imagine taking a couple of whole eggs (shell and all) and putting it between two slices of bread and smashing it down leaving shells and raw eggs leaking out. I think you get the idea by now so we are going to move a little faster. The next link is between bread and coffee. Think of a silly or exaggerated image now. Don’t move on until you’ve pictured it in your mind. Good, now form an image with coffee and cereal. Actually, see it in your mind for a second. Cereal and toilet paper are your next two things to link. Form your image and make sure that it is ridiculous. Link toilet paper and beer now. Don’t read on until you have actually pictured your image clearly in your mind. You don’t want to forget anything. Double check your mental links. If you have gone through these steps and followed the instructions provided then you are ready to test yourself. The one item that sometimes can stump you is the first item in the list (I’ll show you a trick on how to solve this later on). The first item is milk, so what was happening with the milk? Now, what was silly about the bananas? And what was happening with the eggs? And so on until you’ve reached the end of the list. If you were stumped on any part of the list, just go back and picture the connection between those items again and make sure that you really do see it in your mind. I think you will be impressed with yourself after just one or two tries with this method. Think about beer and what do you picture? Now that you are thinking about toilet paper, what was silly about the toilet paper? Keep going until you reach the first item, milk. You’ve just memorized a list of eight items forward and backwards in a few short minutes. Not bad for your first try, wouldn’t you say? And with a bit more practice with this memory technique you, will be able to confidently and quickly memorize lists of any length and be able to make your connections with less thought. Oh and here is the trick on how to remember the first item in the list. Just associate it with yourself. Then when you get to the grocery store just picture yourself and the link that you formed will make the first item pop right into your mind. I’d like to share a video showcasing an old performance by Harry Lorayne. He is one of the pioneers and greatest contributors to understanding memory and how to improve it. The book I recommend below is written by Harry Lorayne and teaches several systems for different kinds of memorization including lists, numbers, playing cards, and more. This video has him demonstrating name and face memorization. He memorized the faces and names of an audience of 500 people live. One book stands out above the rest. Harry Lorayne is one of the leading experts on memory. His teachings gave me the foundation for working on my memory. This book covers so much more, and it is easy to apply to your life. If you have any interest in learning more about how to improve memory, then this should be your first resource.